for a listing of restaurants and menus in English and Russian. Every two weeks the Moscow Expat Site presents yet another Moscow eatery for your consideration. 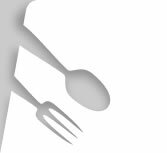 If you'd like to suggest a restaurant for review - or even review a restaurant yourself - click here and we'll consider your suggestion.